Let's see. 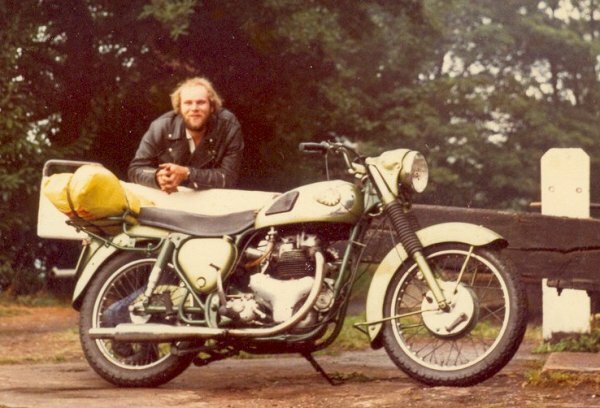 I bought this bike from Carol Moon's brother, Dave, back in about 1982. 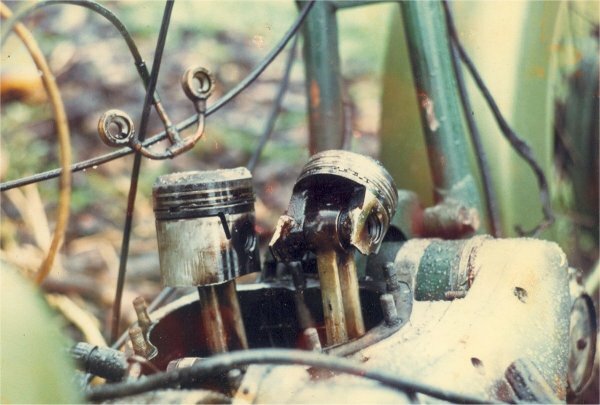 I ran it for a while, but whilst on a BSA owners club camping weekend something rather nasty happened. Oh dear, the right hand piston gave way. Not to be daunted, I obtained another engine ( or at least I think that's what I did, 'cos I don't remember rebuilding it ) and promptly fitted a sidecar. 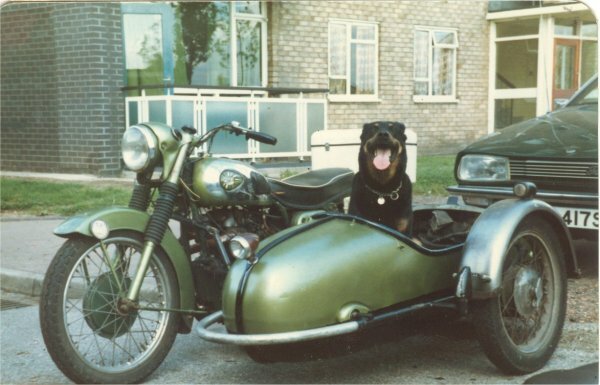 The main reason for fitting the sidecar was that I had somehow acquired a rather large dog. Once again this dates the picture before March, 1984. I continued to run the A7 outfit for a while, then a 600cc side valve M21 engine turned up, and the A7 mutated into the M21 . . . . but that's another story.